The city's immense Anglican Cathedral is something else again: Hughes calls it the swan song of Gothic architecture. 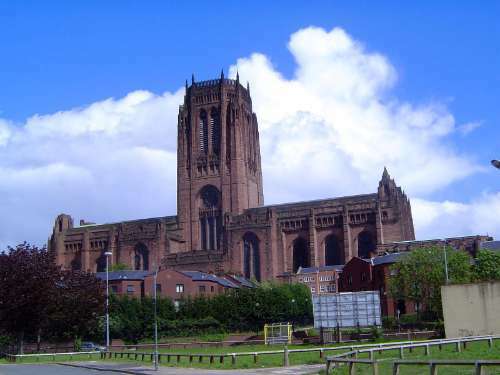 Giles Gilbert Scott's most important work, it was begun in 1904, at Liverpool's apogee, and was finished in 1978, when the city was probably at its nadir. Scott himself died in 1960.